My name is Juan Carlos Cardoso, I was born to crop farming parents in the small village of Torotoro in the Charcas province of central Bolivia. The mountainous terrain and weather conditions meant that our village was only accessible during the summer months and in milder spring and autumn seasons as the torrential rain from the Amazon in the north all but washes away the gravel roads that serve our community. 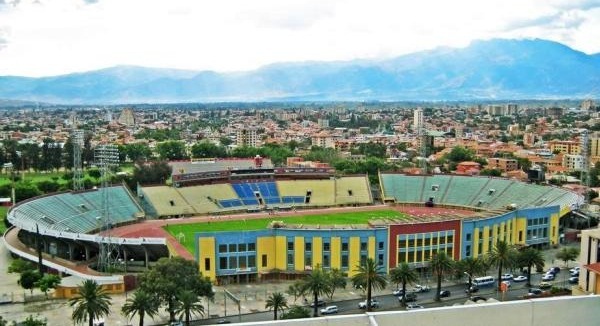 before winter came each year I was sent off to live with my grandparents in the city of Cochabamba, approximately eighty miles to the north of my parents farm so I could continue my education. I was never particularly interested in school, my learning was severely disrupted by the fact I missed much of the year working back home in Torotoro, but I absorbed enough to read and write coherently when required to do so, but I did learn one thing in Cochambamba, something that I learned to love and absorbed every facet of information I could learn on the matter, Football. My first exposure to the sport came when my good friend Fernando, who was already a huge football fan, was given money as a birthday gift to attend the local derby between CD Jorge Wilstermann and Club Aurora, Fernando asked me to go with him which I agreed to do as I had nothing better to do that day, but as soon as we arrived at the stadium, the Estadio Felix Capriles which the two clubs share, I was sucked in, the noise was incredible, 32,000 people singing, shouting and clapping, united in their love for the game and hatred for the opposition. Fernando was an Aurora fan so we stood with their contingent, all attired in the clubs sky blue livery, the feeling of belonging was palpable and I couldn't get enough of it. Fernando explained the rules of the game as the match progressed and I became more and more enthralled in the antics both in the stands and down on the pitch, the game finished in a 3-2 victory for Aurora with no fewer than three red cards for aggressive challenges and on field brawling. As Fernando and I left the stands I declared there and then I wanted to be a professional footballer such as those who I had just witnessed electrify an entire city by merely kicking a ball around. Fernando and I returned next week as Aurora took on Club Bolivar, Bolivia's most successful team and defending champions, this time we made an effort to get to the front of the stand behind the substitutes benches, this was done for a very specific purpose, to get close to the Aurora coach Hector Salvador. Midway through the first half we got our opportunity, Salvador who enjoyed baiting the crowd, left his bench, which in those days was just that, a bench with no covering, came and lent on the fencing right in front of us, pounding his fist against the mesh to raise the noise level further, Fernando and I seized our chance, 'Mr Salvador?' to my amazement he turned round to look at us, I had expected him to ignore us and walk back to his bench leaving us mere mortals behind, however he turned smiled, I remember vividly the twinkle in his eyes which seemed much younger than the rested of his wizened face. Whilst he said nothing his eyes seemed to say I'm listening. 'We want to be footballers for you, we're both good and we'll work harder than anybody you've ever seen.' As a man with over thirty years of coaching experience, plus a successful playing career before that Hector Salvador must have heard that pitch, or ones just like it hundreds if not thousands of times in his life, however something in the way we had said it had sent him into deep thought, debating within himself, Fernando and I stood there in excruciating silence waiting for what seemed a life time but what must in reality have been only a few mere seconds. Finally he spoke, 'Youth training his here tomorrow night at seven, Don't be late.' With those words he turned and walked back to his team on the bench leaving us in a state of shock, it hardly mattered that Aurora lost 3-0, all we were thinking about was tomorrow evening. Fernando and I had spent hours kicking his old, half inflated ball around after the Joge Wilstermann game and I discovered I wasn't a bad goalkeeper, at fifteen I had all the attributes required to be be a decent keeper, I was quite tall for my age as well as possessing good agility and a vein of bravery which came from my farming days, if I could risk being trampled by a heard of cows at eight years old it was no problem for me to risk diving down at an onrushing forwards feet at fifteen. 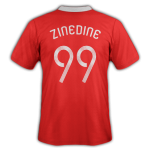 But even so I was acutely aware that I was heading to a professional football trial with less than a fortnight of practice under my belt and never once having played within an actual team. We arrived at the Estadio Felix Capriles two hours early but to our amazement Hector was already there 'Your later than I expected' he said despite nobody else being present yet. He seemed to scan over our every facial expression with those twinkling eyes daring us to answer him back, of course we did not as we were rooted to the spot in fear, franticly trying to think of something to say. Finally he got started and put me in goal whilst he watched Fernando take shots at me, it was the first time we had played using a full sized net, but my nerves seemed to make me quicker, I made a string of instinctual saves, I just watched the ball and my body did the rest automatically. Fernando, who fancied himself a striker on a par with Diego Maradona, visibly became frustrated and angry at me for not allowing him to prove himself to Hector, he began blazing the ball high and wide as his shots became more wild. Hector soon called an end to the affair, dismissing Fernando as a time waster. As my friend stalked off I felt a great inner turmoil, I had clearly impressed Hector but at the same time I couldn't help feeling bad for not letting in one or two for Fernando. Hector had me stay and help him set up his training session as the other players started arriving, he had clearly taken a liking to me and later confided that the reason he invited me along was because I had said I was willing to work harder than anyone else when we had our first encounter through that mesh fence. For two years I turned out for the Aurora under-eighteens, towards the end of that time Hector stepped down as first team coach, his health was in decline and decided call time on his professional career, however he could never leave football behind and offered to coach the youth team instead. I had made a name for myself as a bit of a teachers pet, Hector would often talk to me about my role as goalkeeper and my duty to organise the defence in front of me, this would involve immersive tactical discussions which is not something a manager would normally discuss in any great detail with a seventeen year old. It was also about this time that Hector began to take notice of how much my footwork and passing had come along since I first started out, he had me taking direct free-kicks, much to the annoyance of some of my team mates, eventually Hector decided to try me outfield, for a game against Union Central he put me in central midfield, a strange experience but one I excelled in as I broke up a dozen UC attacks as well as hardly misplacing a ball throughout the game, I even set up what proved to be the winning goal. I was never to don the keepers gloves again. My first team chance came just two months after the transition to midfield, an injury to Alejandro Rezzaro forced manager Edison Hernandez to ask Hector for a recommendation from the youth ranks. My first game was against Universitario, Hector came to me before the game and told me just to stay calm and keep playing the simple game I had been for the under-eighteens and I would be fine. I stuck to his advice and earned man of the match, the reaction from the crowd was incredible as my hard hitting tackles went down a treat among the supporters, That game was the first of over 350 for Aurora over the course of eight years with the club where I went on to be named captain, made fourteen appearances for my country and got to lift the league championship in 2008. After that I accepted an offer from Rosario Central in Argentina which I accepted but quickly came to rue as I dropped off the international picture whilst the club struggled and was relegated the following year, I stayed with Rosario for another unsuccessful year before deciding to move back to Bolivia to try and get back in the national team. Now under the guidance of Jorge Habberger I returned to Aurora, making another 180 appearances, although this time there was to be no glory as we were relegated in 2014. I decided to hang up my boots shortly after, aged 29, largely due to increasing problems with my cruciate ligaments, I never managed to earn a recall at international level which was a source of constant frustration to me. After my retirement Jorge offered me the job of youth team manager on the recommendation of Hector who briefly served as my assistant before his death in January. I will be eternally grateful for all he did for me, the old man not only gave me my big break to get into the sport on a professional level but also took me under his wing and mentored me in the subtle arts of tactics and man management. Please note; this back story and characters, including Juan Cardoso are entirely fictional. After six months of coaching the Aurora youth team I was given the reigns of the first team following Jorge Habberger's decision to return to his native Argentina. 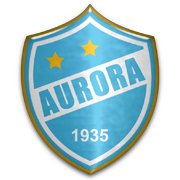 My task will be to get Aurora promoted back to the top flight and build a side capable of returning the club to the levels we were at in 2008 when we won the title. *Get Aurora promoted back to Liga Nacional A. Interesting story, would've been nice to see how this career developed. Hopefully you can continue it soon!